In this tutorial you will learn how to create simple and easy icons for a business infographic. You will use basic shapes and warp effects and also will learn how to add new fill to existing ones. This is extremely useful with the importance of infographics in conveying information and statistics. 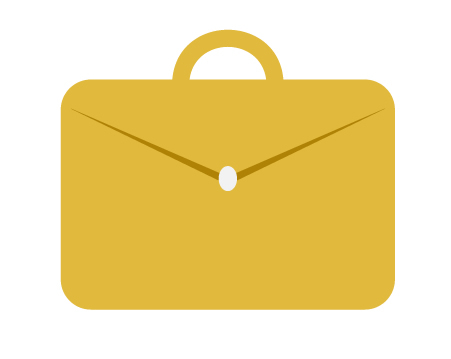 Create a new document and using the Rectangle Tool (M) draw a square. To create an even square you need to hold the Shift key while drawing. Delete the stroke color and set the fill color at R=92 G=119 B=130. Keep the square selected and go to Appearance panel. Click on the tiny triangle on the right top corner to bring up the pop-up menu. Select “Add New Fill”. Next, we will add the pattern. Be sure that the second fill on the Appearance panel is selected and go to Swatches panel, then click on the Swatch Libraries Menu > Patterns > Decorative > Decorative_Geometric 1. In the new panel select Diamonds Rhombic. Take the Ellipse Tool and holding the Shift key draw a circle at the same fill color. Go to Transparency panel (Window > Transparency) and choose the Soft Light from the pop-up menu. Change the fill color to R=238 G=232 B=235. Start with the Ellipse Tool (L) and create a circle (remember to hold the Shift key while drawing). Then take the Direct Selection Tool (A), select the top and bottom anchor points and move them down as shown in the image below. Please notice that the bottom anchor point you need to move more down than the top anchor point. 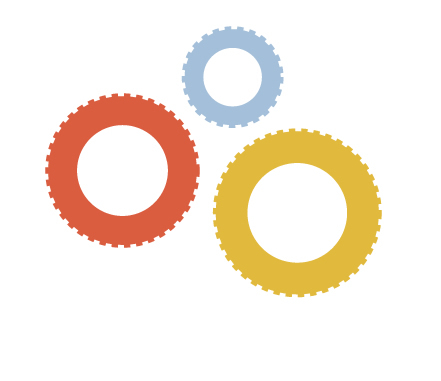 Create two circles – smaller over the big one. Select two of them and in the Pathfinder panel (Window > Pathfinder) press Exclude button. It is the handle of the cup. Place the handle on the cup. Then add a brown ellipse (R=135 G=62 B=53) to show that the cup is full of coffee. Add two ellipses under the cup to show the tea plate. Bigger ellipse with the same fill color as the cup and smaller is R=212 G=203 B=209. Make the copy of the handle you made for the cup of coffee and change the fill color to R=225 G=185 B=60. Double-click on this shape to isolate the parts. Make the inner circle bigger holding the Shift and Alt keys together. After that double-click on your artboard to exit isolated mode. 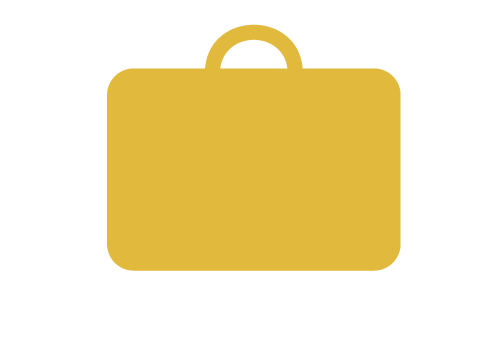 Draw a rectangle which overlapped the yellow circle like shown in the image below. Select two shapes together and press Minus Front button in Pathfinder. That is the handle of the suitcase. Take the Rounded Rectangle Tool and create the rounded rectagnle. Place the handle on it. Make the fill color darker (R=175 G=130 B=5) and hit the Polygon Tool. Type 3 Sides in the new dialogue window and press OK. Turn the triangle upside down and with the help of the Add Anchor Point Tool (+) add a new anchor point on the top side. Take the Direct Selection Tool (A) and holding the Shift key, move this new anchor point down. 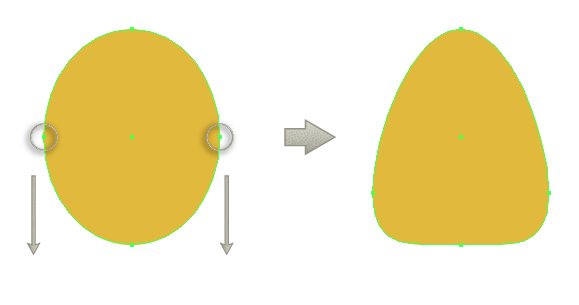 Place the shape you created in the previous step on the suitcase and also add a small ellipse (R=242 G=242 B=242). 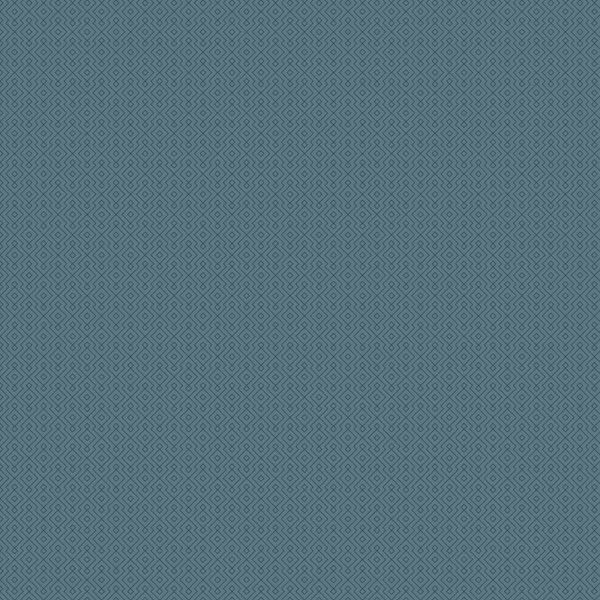 Start with dark gray rectangle (R=35 G=31 B=32). Holding the Shift and Alt keys together (to make a copy), start to move this rectangle to the left. Then change the fill color to R=238 G=232 B=235. And add a small gray circle (R=163 G=156 B=162) to show the button. So, you have a sleeve and now we can draw the hand. Start with ellipse (fill color R=236 G=193 B=156). 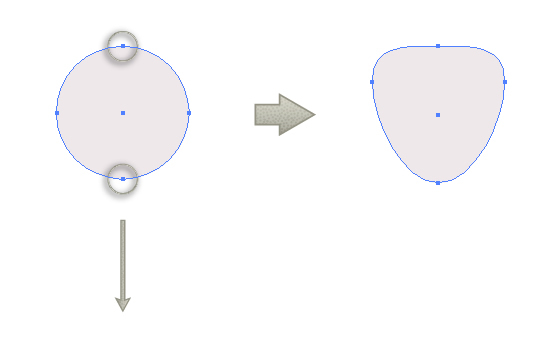 Then draw smaller ellipse – the thumb. Using the Direct Selection Tool (A) move the guiders of it to achieve the result as in the image below. Select the sleeve, hit the Reflect Tool (O) and holding the Alt key, left-click your mouse to make a reflection. In a new window select Vertical and press Copy. After that add darker (R=207 G=158 B=118) ellipse. Moving the guiders of the darker skin hand (by the help of the Direct Selection Tool (A)) try to achive the result as show below in the first image. And then add one more ellipse over it (fill color R=236 G=193 B=156) to show that the hands are holding each other. Draw a yellow ellipse. Select the right and left anchor points and move them down. With help of the Polygon Tool create a triangle. Put it upside down and place over the warped ellipse. Type the dollar sign and select Overlay in Transparency. 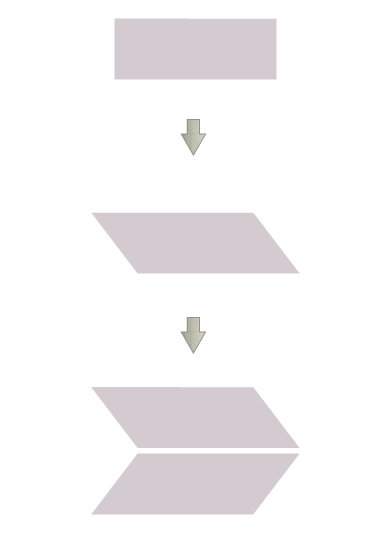 Using the Rectangle Tool (M), draw two rectangles. Bigger dark gray (R=35 G=31 B=32) and smaller gray inside it (R=160 G=157 B=157).  Add a tiny circle at the same color as gray rectangle. Then add three more rectangles. Incline and arrange them as shown below. Now you need to cut the inclined rectangles. Make one more copy in front of the gray rectangle (Control-C, Control-F), and holding the Shift key select along one of three long rectangles. In Pathfinder press Intersect button. Repeat this two more times – copy of gray rectangle (Control-C, Control-F) and holding the Shift key select along the second long rectangle, then Intersect button in Pathfinder. Go to Transparency panel (Window > Transparency) and select Soft Light from the pop-up menu for three long rectangles. Delete the fill color and set the stroke color at R=225 G=185 B=60. On the Stroke panel make the stroke Weight very thick and draw a circle. Expand it (Object > Expand). Then draw the same circle but without fill and at the same stroke color. Look at the Stroke panel. Make sure that the circle with stroke is selected and check on this panel Dashed line. In the first dash box you can enter 6 or 8 px, depends on your zoom. Using the same technique, create two more gear wheels different sizes: red (R=219 G=93 B=64) and blue (R=163 G=191 B=217). Start with gray rectangle (R=212 G=203 B=209). Using the Direct Selection Tool (A), select two top anchor points and move them to the left. Then take the Reflect Tool (O) and holding the Alt key click under this shape. A new window will appear, where you need to choose Horizontal, Angle 0 degrees, tick Objects and Patterns. And press Copy. Lets create a tip of the arrow. Hit the Polygon Tool and click on your artboard. Enter 3 Sides in the new window, with any Radius and click OK. You will get a triangle. Then take the Add Anchor Point Tool (+) and click on the top side of the triangle. Using the arrows key on your keyboard move this new anchor point down. Add a long rectangle and then put everything like in the image below. The arrow is ready. To create the target you need to draw three circles with stroke color (R=219 G=93 B=64) and no fill. And then one more smallest circle with the same stroke and fill color. 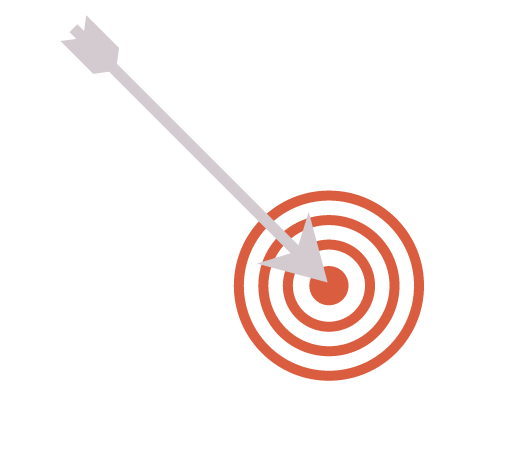 Add the arrow created in a previous step. Draw a rectangle (R=198 G=205 B=201). Switch on the Smart Guides (View Smart > Guides) and put an anchor point in the middle of the left side of our rectangle. 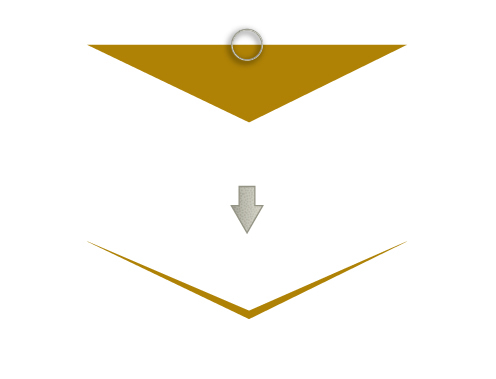 Take the Direct Selection Tool (A) and move the anchor point to the right. Make the same at the right side of the banner. 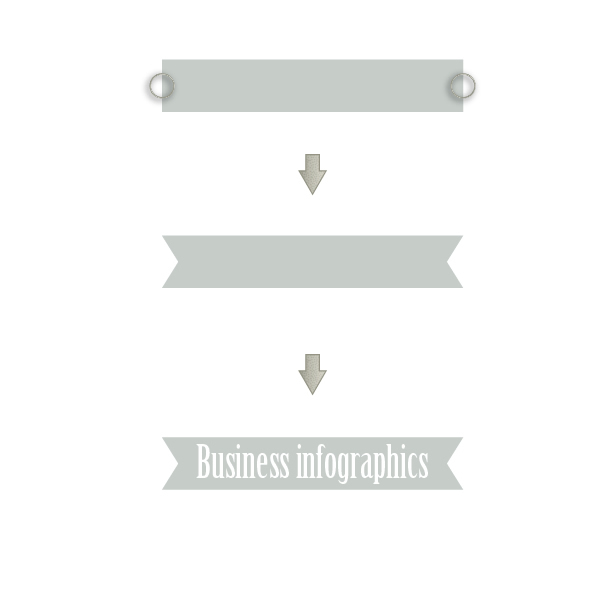 Select your favorite font and type “Business infographic”. Take all the elements and put them on the place. Congrats, you are done! 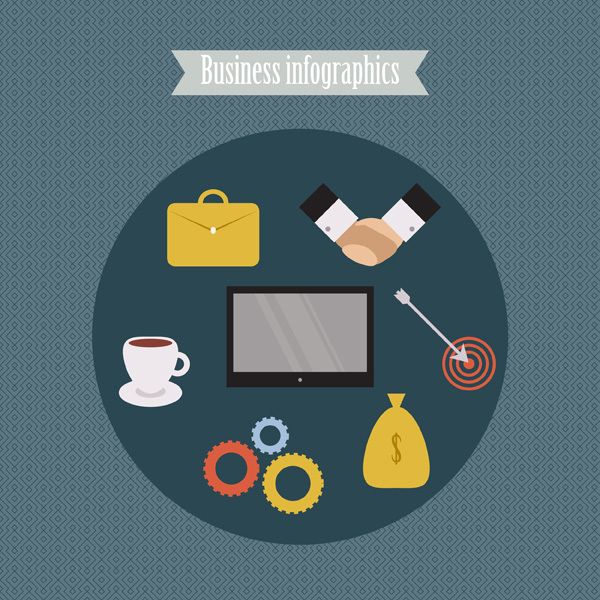 You learnt how to create business infographic icons and I hope you’ve found some helpful tricks. Do Like, Share and Comment if you like or have tried these steps!